Open GIS 2015 conference is finally here and we are proud to become it’s Gold sponsor! Our team will run 5 workshops and make several presentations. 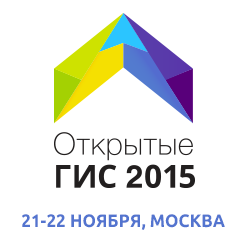 Open GIS 2015 is a unique event for Russia. It is completely free and is a gathering point for all free and opensource GIS developers and users as well as OpenStreetMap mappers. There is no comparable event in Russia. The conference is independent and not affiliated with any particular organization, its organizers are members of GIS-Lab and Russian OpenStreeMap communities. The conference program is loaded with over 50 talks and more than 10 workshops on all aspects of free and open source GIS: GDAL development, mobile application, map design, data processing in GRASS and much much more. Together with conference organizers we invite you to register, submit your presentation and donate to help make our conference a great event for everyone.